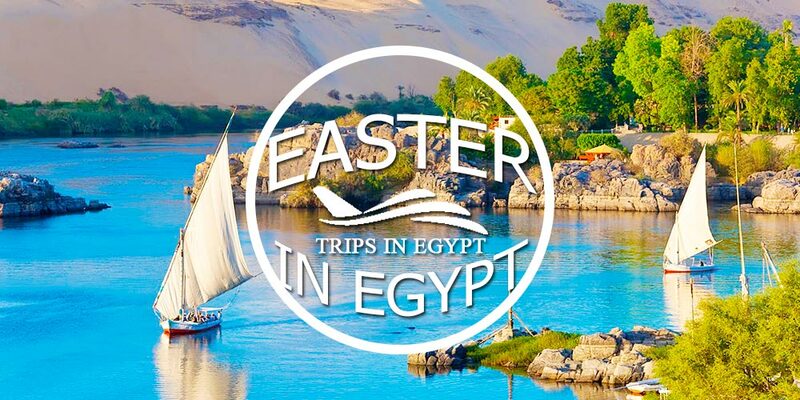 The Mother of the World “Egypt” is considered the best country to spend your Easter Holiday and with our Egypt Easter Tours, you’ll spend the most mesmerizing Easter vacation of your life. Experience your Easter holiday among the pharaonic heritage and surrender yourself to Egypt Easter tours were to freely practices your ceremonial rituals. Live the adventure in a phenomenal atmosphere and impress the ancient historical attractions in Cairo, Alexandria, Luxor, and Aswan. Be close to Giza Pyramids, one of the seven world wonders in Cairo and cruise the Nile River among Luxor and Aswan ancient glorious temples and tombs. Egypt Easter Tours also provides more prestigious option to relax over the Red Sea Shores in Hurghada, and Sharm El Sheikh. “Egypt Easter Holidays” are planned by our professional travel experts to offer the best service at the most affordable prices. 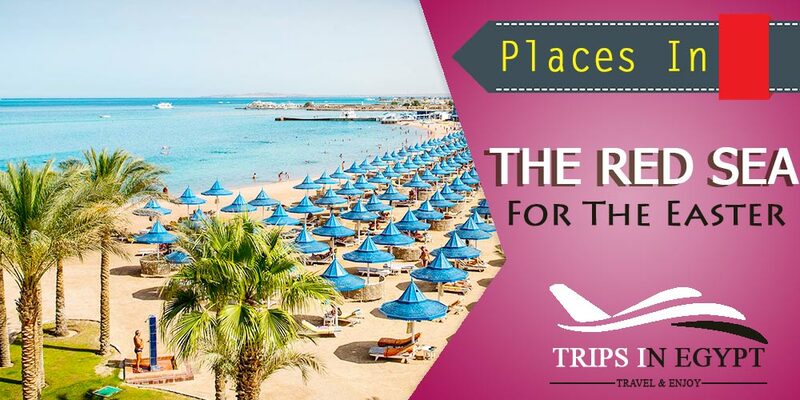 Book your favorite trip or you can contact us via “Egypt Tailor-Made Holidays”. Easter is an amazing celebration related to the resurrection of Jesus from the tomb after his crucifixion. What makes it a truly special occasion is that all people from different religions from around the world love celebrating such an occasion in different ways according to the customs and traditions of their country. The week that precedes Easter is called “the Holy Week” and Easter usually follows a period of fasting that is called “Lent”. That Holy Week includes many spectacular days just like Palm Sunday, Maundy Thursday “the day of the last supper of Jesus”, Good Friday, and so on. There are some well known Easter Symbols like the Easter Bunny and the Easter egg, which truly represent the true concept of Easter. The truly marvelous thing about Easter in Egypt is that is it followed by the day of Sham El-Naseem “The Spring Day”. During that day all Egyptians, not just Coptic visit gardens, buy flowers, enjoy the sun rays in the early morning, enjoy the extraordinary lovely Egyptian weather. What Does Weather Like During Egypt Easter Tours? Egypt is known with its cool weather during the different parts of the year and when it comes to Egypt Easter weather; it needs books to describe how beautiful it is to spend a marvelous Egypt Easter Tour. Because of the beautiful weather of Egypt during that time, you’ll be able to visit a lot of unique places such as historical, ancient, modern, Islamic, and Coptic destinations in various Egyptian cities. In Cairo, during your Egypt Easter Tours, you don’t have to worry about the heat as you’ll be surprised with the cool terrific weather which will let you discover the astonishing Giza Pyramids, head to the Egyptian Museum to visit the awesome artifacts that were once being owned by great Egyptian Pharaohs like Tutankhamun and his golden mask. 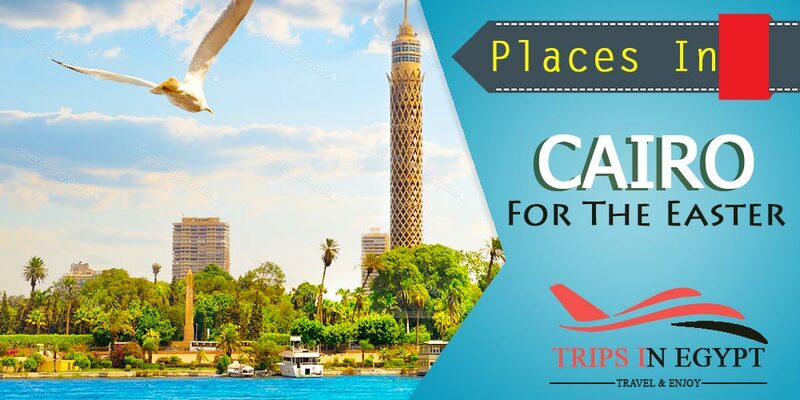 You may also want to visit the tiptop citadel in Cairo with its marvelous Mohamed Ali Mosque and end your trip in Cairo with a lovely shopping tour I the largest open-air market “Khan El-Khalili Bazaar”. 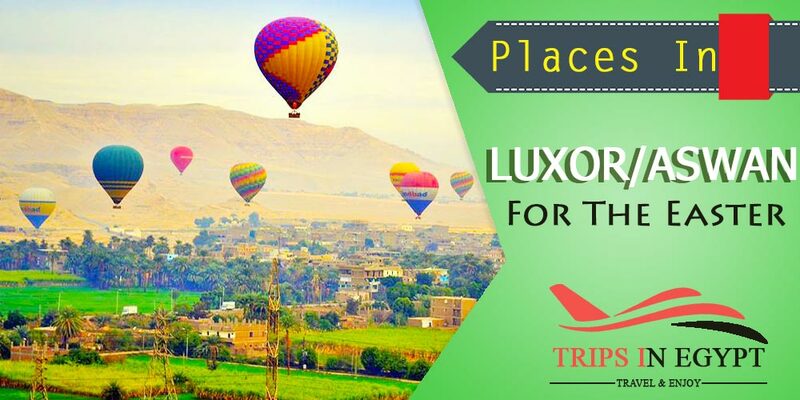 In Luxor & Aswan you’ll spend such a magnificent time visiting the tombs temples, and chapels there including Valley of the Kings, Hatshepsut, Karnak, Luxor, Philae Temple, Kom Ombo, Edfu, Dandara, Abydos temples, Colossi of Memnon, the High Dam, the Unfinished Obelisk, and a lot of other fanciful attractions that you need to visit while being in Egypt during the Easter Vacation. No better chance to board Egypt Nile Cruises to enjoy the whole beautiful views and weather on the board of 5* Nile Cruises to have the luxuriant vacations that you seek to spend. In Alexandria “The Bride of the Mediterranean” is widely known to be the most visited Egyptian city during Easter as the weather in such a coastal city. 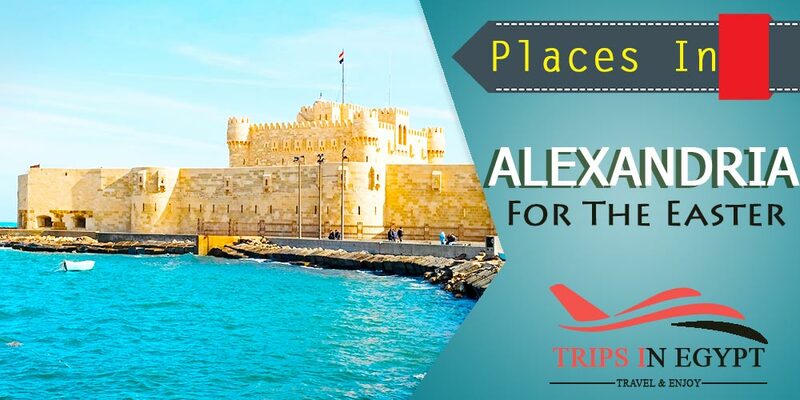 In Alex, you’ll have the opportunity to mix between all that is ancient & modern while visiting its attractions such as Pompey’s Pillar, the Catacomb of Kom El-Shokafa, Qaitbey Citadel, and Alexandria Library. “Trips in Egypt” also prepare some breathtaking tours to different coastal cities to enjoy the Egyptian weather as possible as you can through traveling to Hurghada, Sharm El-Sheikh to spend some imaginary time on the beaches of the Red Sea relaxed, meditated, or even practicing some water activities like snorkeling, diving, and swimming with dolphins to have a totally deluxe special Easter holiday. Our Egypt Tour Packages are customized to provide you with various types of tours that can combine all of the previously mentioned landmarks in the best possible services and the most affordable prices. So take the decision of spending your best Egypt Easter Vacations and join us to have your spectacular trip “Your lifetime vacation”.